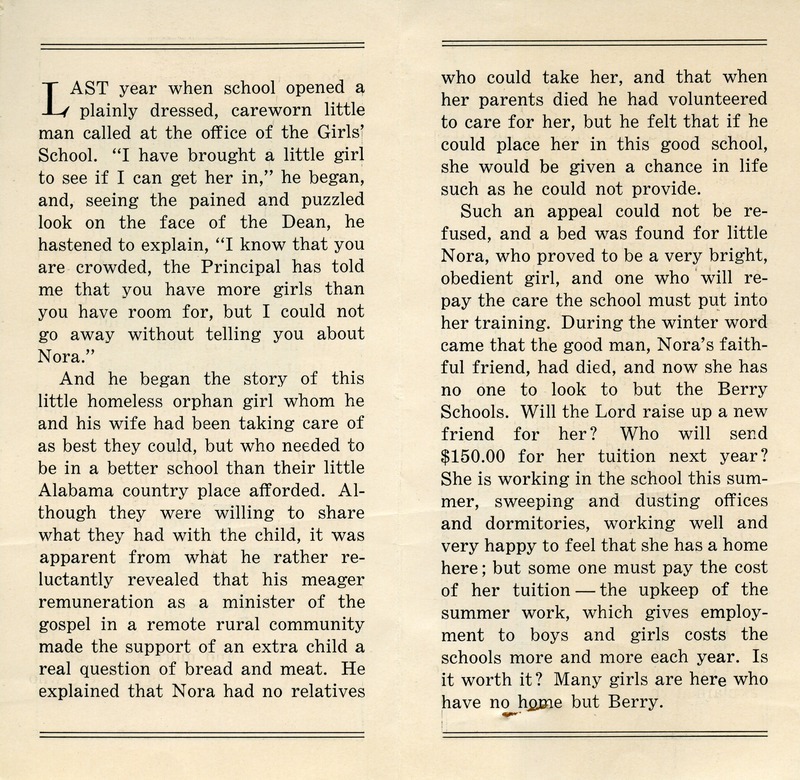 Mrs. Ross funds an endowed scholarship in response to the "Who Will Help Nora?" solicitation. Mrs. G.A.J. 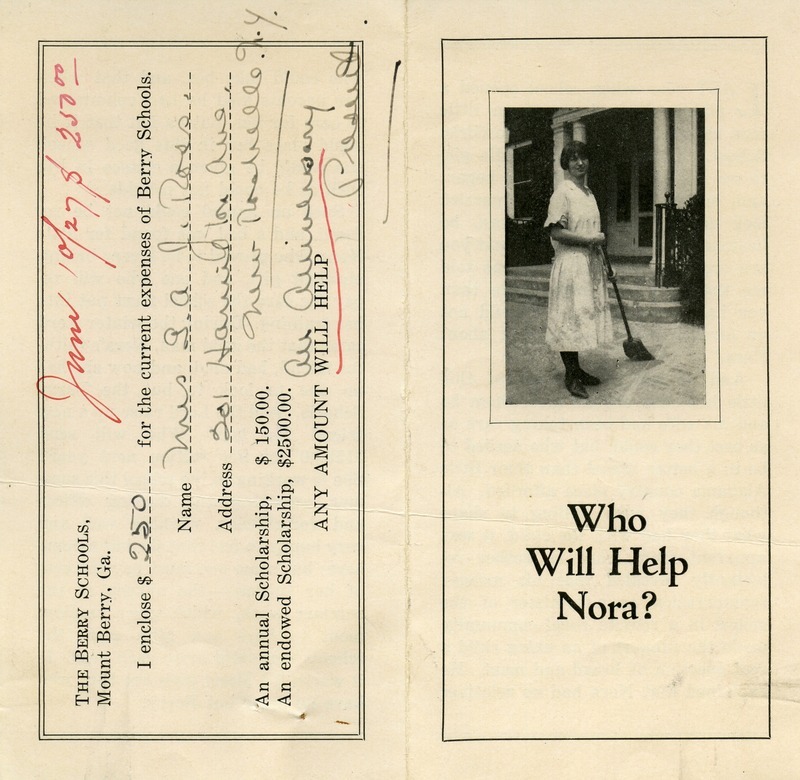 Ross, “Solicitation contribution from Mrs. G.A.J. Ross.” Martha Berry Digital Archive. Eds. Schlitz, Stephanie A., Sherre Harrington, et al. Mount Berry: Berry College, 2012. accessed April 22, 2019, https://mbda.berry.edu/items/show/5537.